Hello and welcome! 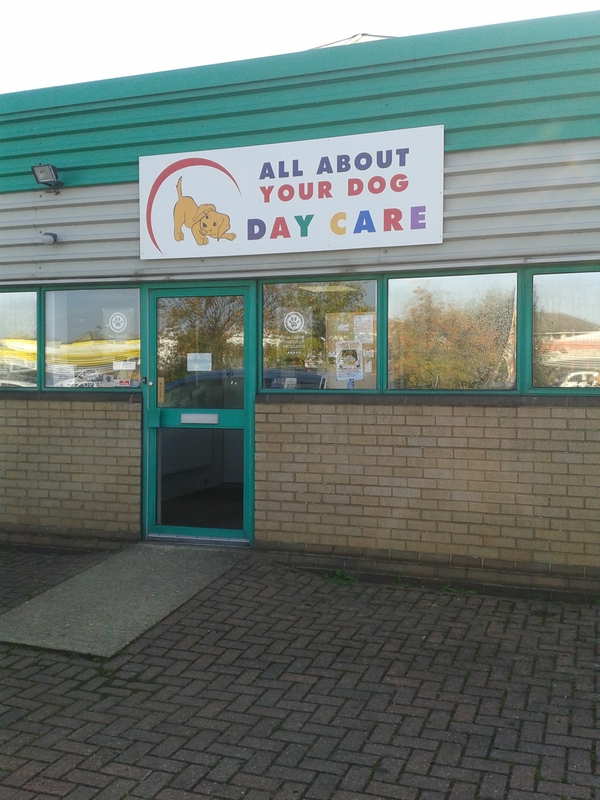 All about your dog daycare is a top quality dog day care service designed with your dog’s safety and entertainment in mind. While you are at work or out for the day we look after, play with and entertain your dog, meeting all his or her needs. Your dog will have the opportunity to socialise with a group of fully assessed, friendly and vaccinated dogs. All members of staff are experienced dog handlers and are all trained in dog first aid. We are fully licensed and insured. Your friendly, sociable dog could become part of our day care group; spending their day playing freely with other dogs, resting and relaxing, engaging in typical canine behaviour while constantly being in the company of our caring and experienced staff. We are conveniently located in Orton Southgate, just off Fletton Parkway, easily accessible from the A1 (see map). 6 Milnyard Square, Orton Southgate, Peterborough, PE2 6GX. 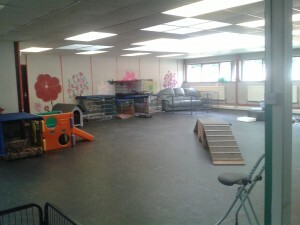 We have two large indoor spaces, custom designed for dogs. They both have non-slip, shock absorbent rubber kennel flooring and are equipped with: Tyres, to jump on and off, bridges to climb over and hide under, play houses and lot and lots of toys! We have lots of comfy dogs beds, and quiet areas can be created by sectioning off areas of the playroom. We have two large outdoor areas, fully enclosed with a 6ft fence and a 1ft mesh extension. 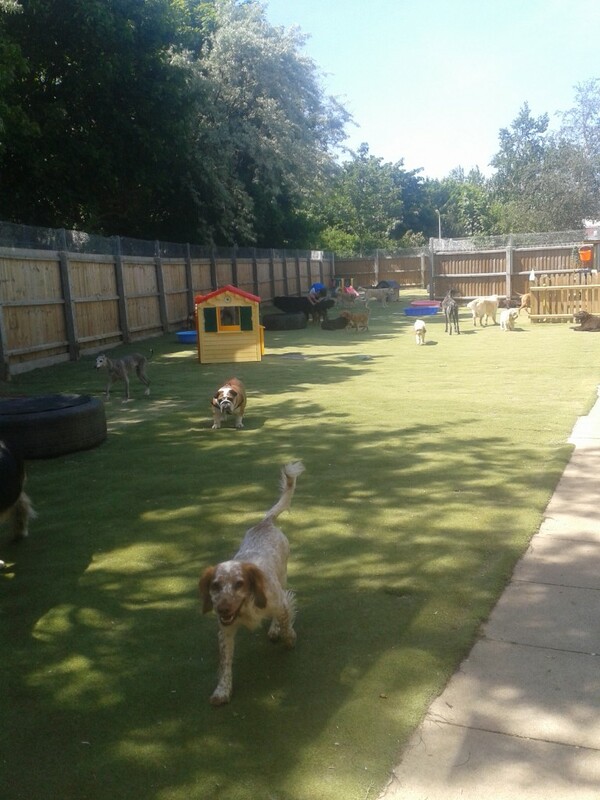 One of the out door spaces has a lightly wooded area, which is great fun for the dogs to sniff and play around in! Both have astroturf laid, so your dogs stay nice and clean on those wet muddy days! If you think this could suit your dog then give us a go! We suggest a trial day for your dog, to ensure he/she is going to be happy with us, however prior to your dog being accepted for a trial day there are a few requirements, so check out the requirements section. 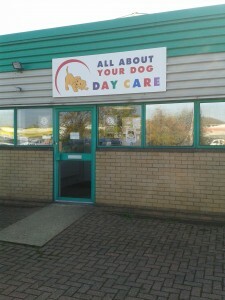 Or even check us out on Facebook at www.facebook.com/AllAboutYourDogDayCare. To see updates regarding up and coming events and photos of the dogs having fun in daycare with us.